WELCOME to the Hellgate Civilian Shooters Association web site. We offer practice and world class shooting competitions at two ranges, Deep Creek and West Riverside. A day-use range for the general public is available at the Deep Creek location. 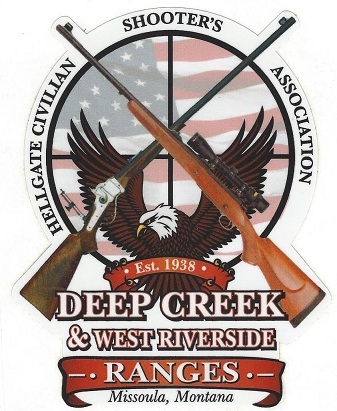 Otherwise, an HCSA membership is required to use our ranges at Deep Creek and West Riverside. Click here above to see a map. Click above to see a map.